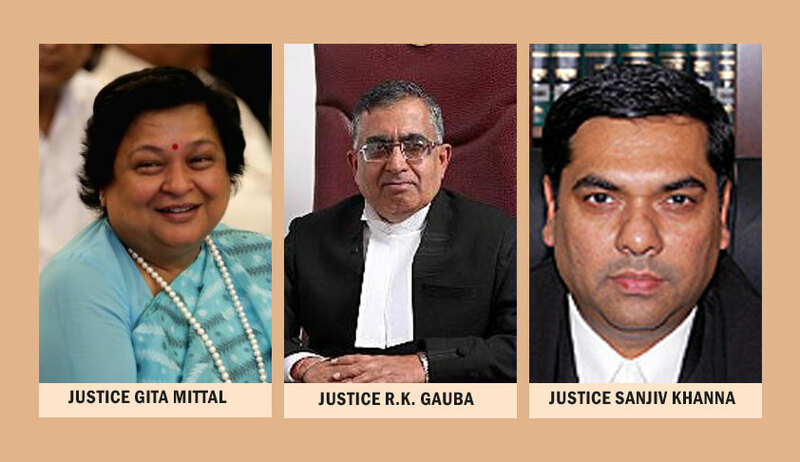 After the Delhi High Court delivered a split verdict in five criminal appeals in February this year, Justice Sanjiv Khanna, on Tuesday, upheld the conviction of 3 accused, while acquitting 2 others. The case relates to the murder of one Ankit Minocha near Chanakyapuri in 2009. The Division Bench was hearing Appeals against a judgment passed by the Additional Sessions Judge, wherein it had found the Appellants guilty of offences punishable under Sections 302 (murder) and 307 (attempt to murder) read with 34 (common intention) of the Indian Penal Code, 1860, and had awarded them life imprisonment. Thereafter, in February this year, Justice R.K. Gauba had upheld their conviction, while Justice Gita Mittal had acquitted all the accused. The split verdict had resulted in the Appeals being placed before Justice Sanjiv Khanna. At the outset, Justice Khanna noted that the difference of opinion was primarily on the question of the identity of the perpetrators, i.e. occupants of the Indica Car, who had fired at the victim and the identification of the perpetrators by the eye witnesses. After a detailed reference and analysis of the ocular evidence of the eye witnesses and the evidence on record, the Court then observed that the prosecution had failed to establish the interconnection between Sushil Arora and Rajesh Pandey and Vishnu, Sonveer and Hemant Garg before and after the occurrence. It then ruled that Sushil Arora and Rajesh Pandey were "entitled to be acquitted by giving them benefit of doubt", noting, "Arguments predicated on exculpatory material creates doubt on presence of Sushil Arora and Rajesh Pandey in the Indica car. One is left with reservation and in uncertainty with the prosecution version based on the evidence led and adduced to implicate Sushil Arora and Rajesh Pandey... Certainty for confirmation of the eye-witnesses identification of Sushil Arora and Rajesh Pandey is missing and absent. In these circumstances there is a lingering doubt in my mind on whether Sushil Arora and Rajesh Pandey were present in the Indica car. Reasons for the said doubt are manifold and get reflected from the points noted above in favor of Sushil Arora and Rajesh Pandey." ...Identification of Hemant Garg as the driver of the Indica car gets affirmed and confirmed by the fact that the said car was owned by him and he has unable to show and establish his alibi that the car was not in his possession on the date of the occurrence." It also clarified that they have been convicted under Sections 302 and 307, read with 34 of the Code, and not under Section 120B IPC. Justice Khanna further concurred with the punishment awarded by Justice Gauba, wherein he had noted that no separate sentence was pronounced in respect of conviction under Section 307 read with Section 34 of the Code. He then opined that the punishment of life imprisonment with fine deserves to be enforced for both the offences i.e. under Section 302 as well as Section 307. The substantive life imprisonment would run concurrently, he ruled.